Deanna is a leading international expert focused on the social and political challenges of the global mining industry. Deanna specialises in industry-engaged social science that bridges company and community perspectives on extractive industries. Particular areas of interest include company-community conflict, displacement and resettlement, and human rights and development challenges. Deanna is also interested in how the global mining industry is organised, resourced and incentivised to respond to these pressing challenges. Deanna commenced her research career with UQ in 2006 as a Senior Research Fellow with CSRM. In 2012, she was promoted to Associate Professor and CSRM’s Deputy Director and in 2016 to Professor and Director of People Centres for the SMI, encompassing CSRM and the Minerals Industry Safety and Health Centre (MISHC). Deanna has made significant contributions to positioning CSRM as a world-leading centre of research excellence. In her current role, Deanna manages and delivers high-profile research, leads diverse project teams, and supervises more than 30 staff and students. Deanna serves on the Board of Trustees for the Institute for Human Rights and Business (IHRB), the New Member Review Panel for the International Council on Mining and Metals (ICMM), and was recently appointed a Senior Associate of the Cambridge Institute of Sustainability Leadership. She is a member of the International Association of Impact Assessment (IAIA), the International Network of Displacement and Resettlement (INDR) and the Society for Applied Anthropological Association (SfAA). Deanna engages with most of the world’s major mining companies, and many of its peak industry bodies, including the International Council of Mining and Metals (ICMM). She also engages with international finance institutions and other norm-setting bodies. She has collaborated with international non-government organisations—including Oxfam and Human Rights Watch—on industry-related studies. Before her academic career, Deanna held senior positions in the mining industry, working in corporate and operational roles at BHP Billiton, and as an advisor to a number of other global resources companies. 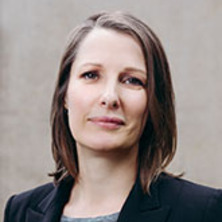 At The University of Queensland, Deanna has collegial relationships with the School of Social Science, including the Institute of Social Sciences Research (ISSR). She also has a range of international collaborative projects, including with the Cambridge Institute for Sustainability Leadership (CISL) and Nottingham University through the Mining, Resettlement and Livelihoods: Research and Practice Consortium. See: www.miningresettlement.org. She has in the past collaborated with the Harvard Kennedy School of Government on joint research. Journal Article: How do national mining industry associations compare on sustainable development? Anglo American Contribution to the Resettlement Consortium. Lessons from company-community conflicts in mining. Owen, John R. and Kemp, Deanna Extractive relations: countervailing power and the global mining industry. Sheffield, United Kingdom: Greenleaf Publishing/Routledge, 2017. Keenan, J. C. and Kemp, D. L. Mining and local-level development: examining the gender dimensions of agreements between companies and communities. Brisbane, QLD, Australia: Centre for Social Responsibility in Mining, The University of Queensland, 2014. Community Grievance Mechanisms and Australian Mining Companies Offshore, Discussion Paper. Kemp, Deanna, Owen, John and Dejvongsa, Vimala (2015). Operational intent and development impact in mining. In Dima Jamali, Charlotte Karam and Michael Blowfield (Ed. ), Development-oriented corporate social responsibility. Volume 1, Multinational corporations and the global context (pp. 49-61) Sheffield, Unied Kingdom: Greenleaf Publishing. Kemp, Deanna and Owen, John R. (2015). Social science and the mining sector: contemporary roles and dilemmas for engagement. In Susanna Price and Kathryn Robinson (Ed. ), Making a difference? : social assessment policy and praxis and its emergence in China (pp. 60-82) New York, NY, United States: Berghahn Books. Kemp, Deanna and Owen, John (2015). The reality of remedy in mining and community relations: an anonymous case-study from Southeast Asia. In Mahdev Mohan and Cynthia Morel (Ed. ), Business and human rights in South East Asia: risk and the regulatory turn (pp. 239-258) London, United Kingdom: Routledge. Evans, Robin and Kemp, Deanna (2011). Community issues. In SME Mining engineering handbook 3rd ed. (pp. 1767-1777) Littleton, CO, United States: Society for Mining, Metallurgy, and Exploration. Kemp, Deanna (2011). Understanding organizational context. In Frank Vanclay and Ana Maria Esteves (Ed. ), New directions in social impact assessment: Conceptual and methodological advances (pp. 20-37) Cheltenham, United Kingdom: Edward Elgar. Gibson, Ginger and Kemp, Deanna (2008). Corporate engagement with Indigenous women in the minerals industry: Making space for theory. In Ciaran O'Faircheallaigh and Saleem Ali (Ed. ), Earth Matters: Indigenous peoples, the extractives industries and corporate social responsibility (pp. 104-122) Sheffield, U.K.: Greenleaf Publishing. Barclay, Mary Anne, Pattenden, Cath, Brereton, David, Beach, Ruth, Drinkwater, Diana, Kemp Deanna, Parmenter, Joni and Phillpot, Sokar (2007). Female mining engineering and minerals processing students: career drivers, expectations and perceptions. In Unearthing new resources: attracting and retaining women in the Australian minerals industry (pp. 65-109) Forrest, ACT: Minerals Council of Australia. How do national mining industry associations compare on sustainable development? Owen, John and Kemp, Deanna (2016) The weakness of resettlement safeguards in mining. Forced Migration Review, 52: 78-81. Corder, G., Kemp, D., Brereton, D. and Bangerter, P. (2015) Integrating social and environmental aspects in project design. AusIMM Bulletin, 6: 55-57. Community relations and mining: Core to business but not "core business"
Corporate social responsibility, mining and "audit culture"
Boele, and Kemp, D. L. (2005) Social auditors: illegitimate offspring of audit family? finding legitimacy through a hybrid approach. The Journal of Corporate Citizenship, 17 Spring: 109-119. Gavidia, Mirella Cobeleanschi and Kemp, Deanna (2017). Company-community relations in the mining context: a relational justice perspective. In: Lukasiewicz, A, Dovers, S, Robin, L, McKay, J, Schilizzi, S and Graham, S, Workshop on Justice, Fairness and Equity in Natural Resource Management, Canberra Australia, (79-89). Oct 12-13, 2015. Wachenfeld, Margaret, Fernando de Angulo, Luis and Kemp, Deaner (2014). Promoting Human Rights, Ensuring Social Inclusion and Avoiding Conflict in the Extractive Sector. In: Dialogue on the Extractive Sector and Sustainable Development – Enhancing Public-Private-Community Cooperation in the context of the Post-2015 Agenda,. United Nations Development Programme and Government of Brazil, Brasilia, Brazil, (). 3-5 December 2014. Keenan, J. C., Kemp, D. L. and Ramsay, R. B. (2013). Company-­community agreements, gender and development. In: 23rd World Mining Congress 2013 Proceedings. 23rd World Mining Congress, Montreal, Canada, (). 11-15 August 2013. Boele, Richard, Kemp, Deanna and Gotzmann, Nora (2011). Incorporating human rights considerations into management decision making in mining. In: David Brereton, Dante Pesce and Ximena Abogabir, Proceedings of the First International Seminar on Social Responsibility in Mining. First International Seminar on Social Responsibility in Mining (SR Mining 2011), Santiago, Chile, (). 19-21 October 2011. Bourke, Pam and Kemp, Deanna (2011). The role of community relations practitioners as change agents in the minerals industry. In: David Brereton, Dante Pesce and Ximena Abogabir, Proceedings of the First International Seminar on Social Responsibility in Mining. First International Seminar on Social Responsibility in Mining (SR Mining 2011), Santiago, Chile, (). 19-21 October 2011. Indigenous Women and Mining Employment in Australia. Kemp, Deanna and Paramenter, Joni (2007). Indigenous Women and Mining Employment in Australia.. In: SD07: A climate for change: Minerals Council Australia: Sustainable Development Conference. SD07: A Climate for Change., Cairns, Australia, (). 29 October - 02 November 2007. Kemp, Deanna (2004). The Emerging Field of Community Relations: Profiling the Practitioner Perspective. In: Inaugural Sustainable Development Conference, Minerals Council of Australia, Melbourne, VIC Australia, (). 25 - 29 October 2004. Owen, John, Muriuki, Grace and Kemp, Deanna (2018). Livelihoods, food security and mining-induced displacement and resettlement. , Sustainable Minerals Institute, The University of Queensland. Kemp, Deanna Louise (2006). Between a rock and a hard place : community relations work in the minerals industry PhD Thesis, School of Social Work and Applied Human Sciences, The University of Queensland. RTPE2E - From direct employment to employability: a new approach to thinking about the employment contribution of mining projects. Mining and Peace: Paradox or Paradigm Shift?